The summer holidays are fast approaching and I’ve been thinking about finding more ways to incorporate outdoor play in our summer vacation. My daughters are getting older (12 and 14) and to be honest, it is getting harder to inspire them to get outside, let alone play outdoors. Once they get outside, they always enjoy playing outside, but coming up with the idea that will motivate them to get outside seems to be harder to find. As parents, we are all fighting the same battle…the “less screen-time battle”. 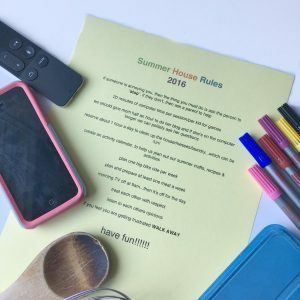 Yes, I’ve put a few summer house rules in place, but the pull to the screens is very powerful. I find this especially true for my tweens. Younger children will happily go wherever you take them…tweens are a different story. So, I came up with this fun variation on my “I’m Not Bored Jar“. 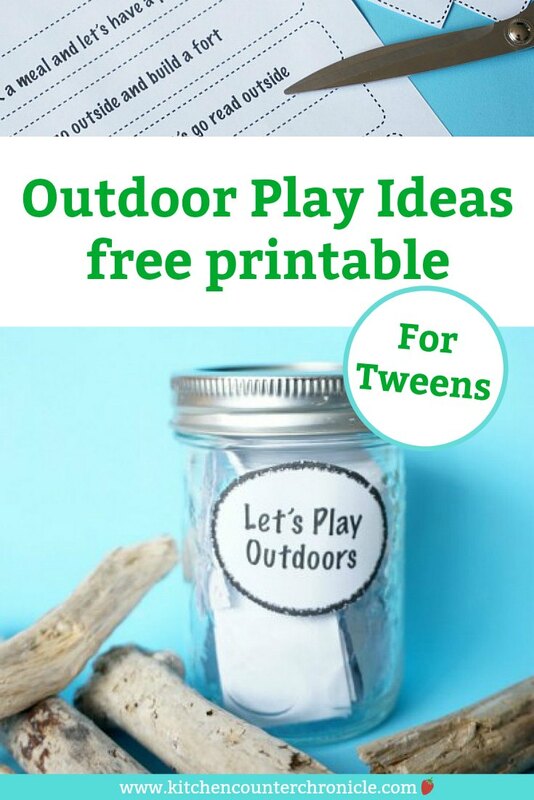 What if I filled a jar with outdoor play ideas? Outdoor activities that would appeal to kids aged 9-12 – and even a little older. 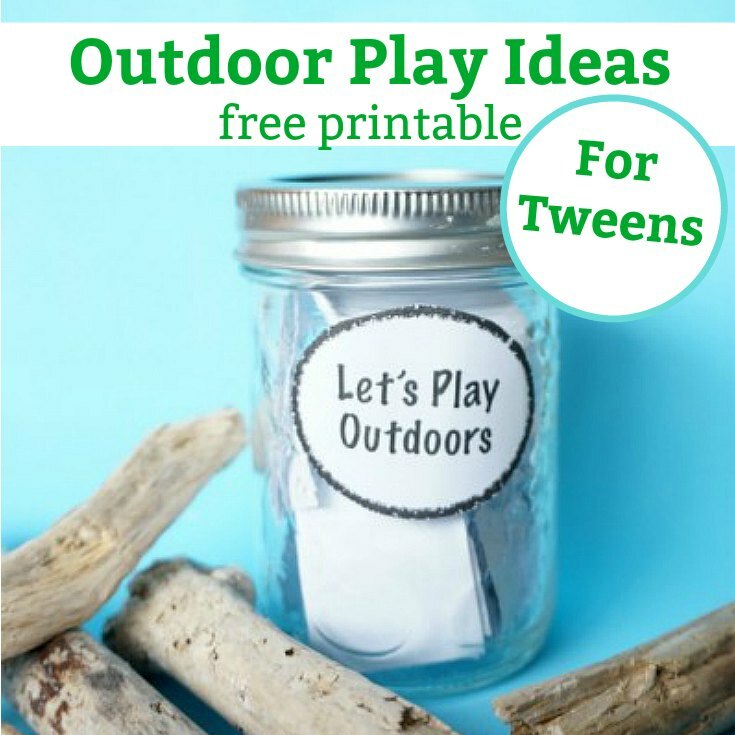 A jar filled with activities that could be pulled out and get the kids outside. 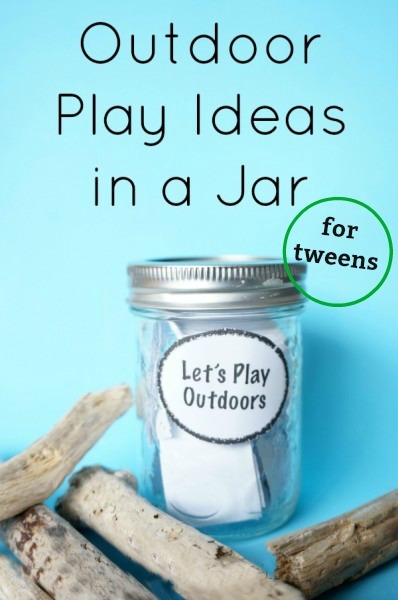 That’s just what I’ve created…an outdoor play ideas in a jar for tweens. Simply click on the link and print off the strips of activities. 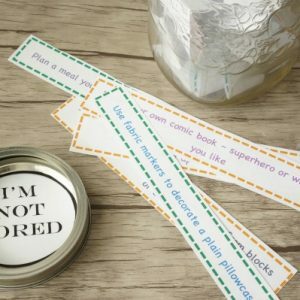 Cut out the activities and pop them inside an empty jar. How many books can you read in an afternoon? These are just a few of the ideas to inspire outdoor play all summer long. Place the jar in a spot where the kids can easily reach it and open it when they are feeling a little bored. Ours is ready to go…sitting on the kitchen counter, waiting to be opened. If you have any other ideas to add, jot them down on some strips of paper and add them to the jar. 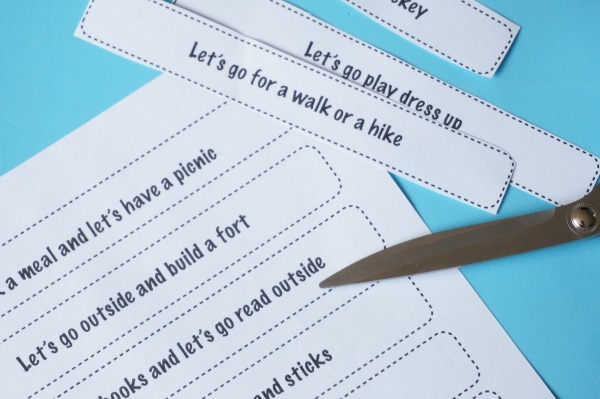 Anything goes when it comes to encouraging kids to get outside. What will your kids play outside today? This is such a great idea – sometimes it can be so hard to think of something when you get past that bored point of no return. Great idea, coming up with ideas of what to do is often a barrier to us going outside especially when the weather’s not great so thanks for the inspiration, I’m featuring this tomorrow.